Host of the ICLEI World Congress 2015, Seoul – the capital of South Korea – is home to nearly 10 million people. With a population density twice that of New York and eight times that of Rome, it has become an example of how economic growth creates vibrant, frenetic urban centers. Seoul by night. Photo courtesy of Koshy Koshy, via Flickr. 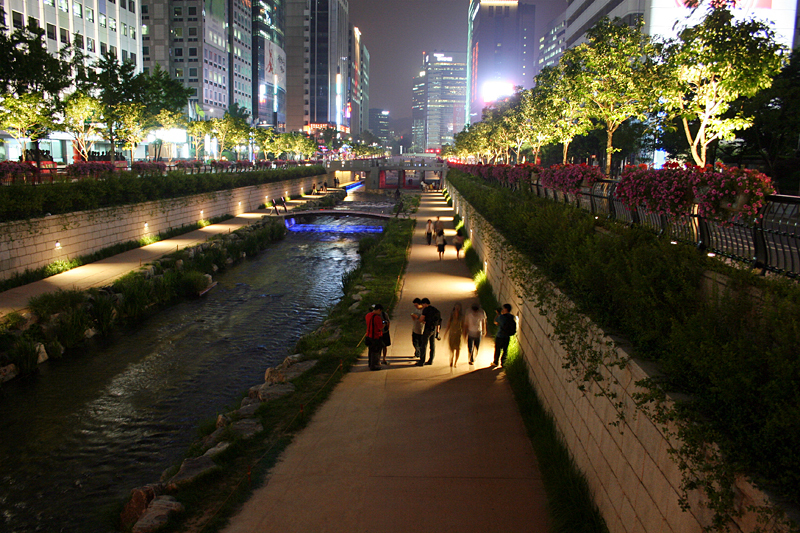 Yet Seoul has also become a shining example of sustainable development and environmental awareness. In particular, Seoul has selected a memorable target regarding the production of energy: “One Less Nuclear Power Plant”. The “One Less Nuclear Power Plant” initiative was implemented in order to respond to the potential crisis caused by the continually rising demand for electricity. 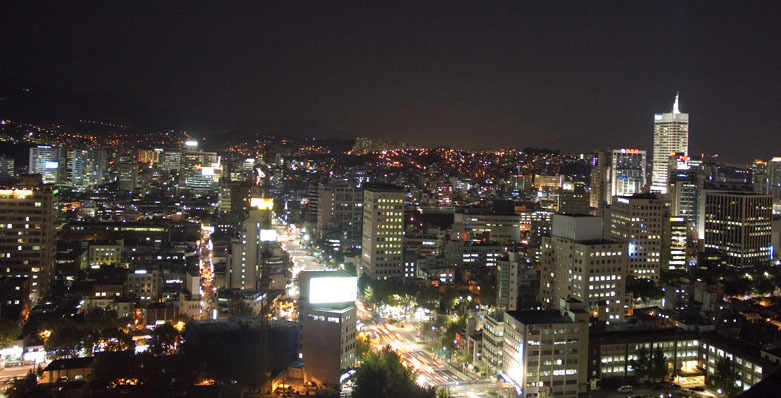 Seoul Metropolitan Government partnered with the private sector to produce more energy from new and renewable sources, while encouraging civic associations, companies, religious groups, schools and civil society in general to save energy in daily life. The goal was to reduce energy demand by an amount equivalent to the production of one nuclear power plant. 10 key action plans were elaborated to pursue this goal. These included retrofitting around 12,000 buildings, expanding a car-sharing scheme, replacing current lighting with energy-efficient LEDs, and installing a huge number of solar panels. In June 2014, Seoul announced that it had succeeded in reducing its demand by 2 million tons of oil equivalent – six months ahead of schedule. The title of the initiative was selected from suggestions made by the inhabitants of the city. It is an excellent choice, partly because it follows the design maxim noted by the US Navy in 1960: “Keep it simple, stupid”, or KISS for short. As a slogan, “One Less Nuclear Power Plant” offers a simple, tangible goal – one that everyone in Seoul can understand, visualize, and work towards. It tells people in the clearest terms what they are trying to achieve. By contrast, talk of global action for climate change often presents targets that, while accurate and important, are uninspiring and hard to comprehend. For example, it is frequently noted that we must try to limit the increase in average global surface temperature to 2°C on the pre-industrial average in order to avoid dangerous climate change. Similarly, catastrophic climate change is often said to correspond to an increase of 4°C. Cheonggyecheon, Seoul. Photo courtesy of d’n’c, via Flickr. Scientists are right to publicize these requirements, and governments must engage with them. However, the target is too large and abstract to engage individuals. Talk of what must happen by 2050 or 2100 is also liable to alienate individuals and organizations. People work best when they are given a clear target with a short timeframe. That way, we can see how our actions will make a definite contribution. Among other things, this shows how progress might best be achieved through local initiatives. Cities, municipalities, and regions can break down the enormous challenge of climate change into precise, short-term goals to which individual populations can contribute. Seoul faces considerable environmental challenges, as a densely populated city and as the largest energy consumer in the country. But by setting the initial target of One Less Nuclear Power Plant, it has started to address it in an innovative and engaging way. Seoul has kept it simple, stupid; other cities should follow their lead and do more KISSing.